Fifteen years into their lifespan, Nidrosian black metal band Mare release their anticipated debut album. 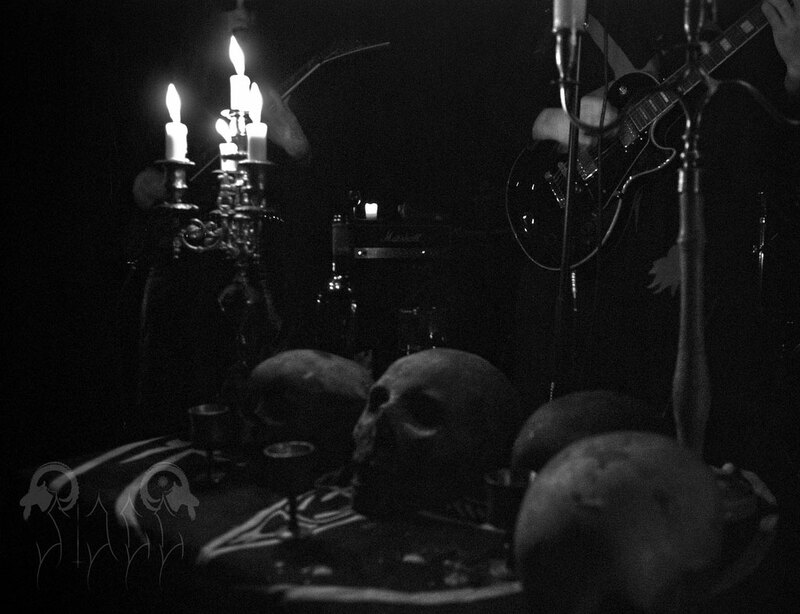 Founder and guitarist Nosophoros explains the nocturnal dedication that revealed their path towards “The Ebony Tower”. – Releasing a full-length album was never our original intention – but as the material gradually took on more of its own identity, or the identity of Mare herself I should say, it became increasingly clear that the musical concepts we were uncovering depicted a map over our nightmarish journey. The Dark Mother dragged us through fire and thorns, she placed every conceivable obstacle in our way. To describe it metaphorically: not only did we gaze into the abyss, we were fully engulfed and fed from its innards so we could bury our roots deep enough to ascend “The Ebony Tower”. It’s quite noteworthy for a band that’s been consistently active for almost fifteen years to not have released an album, especially given the amount of scene interest they’ve incurred. – The artistic procedure forced us to go through certain nocturnal assemblies I cannot mention in direct words. All I can say is that there was no easy access to the ‘riff-factory’, the fires required fuelling to tear open the creative landscape laid out before us. The death of a significant comrade was also something which stirred up our circle of friends and slowed down the progress of almost everything music-related. Rather than the genre-typical growls, most of the voice work on MARE’s debut album consists of beseeching chants often dwelling in the borderlands between Gregorian monks and “De Mysteriis dom Sathanas”, A few of the vocal performances are quite striking, so I wish to know if all of it’s their own efforts. – There are actually no samples whatsoever; all vocals are the magnificent work of HBM Azazil. The outro was performed and sung by an accomplice of ours, Lamia Vox – a Russian ritual ambient artist. If I’m not entirely mistaken, MARE were the originators of ’Nidrosian black metal’ – a moniker which is now an established term and even has a related festival. Nidrosia is the archaic name of their home-town, which is more commonly known as Trondheim. – ’Norwegian black metal’ is not always a stamp of quality and therefore, I felt more comfortable narrowing it down to Nidrosia. The Nidrosian sigil was hand-drawn by the aforementioned brother of ours who is now dead, and the term itself stands as a proud reminder of everything we experienced and accomplished together. I’m not really a fan of gang-mentality, though I can understand why some would see us that way. It’s interesting that whereas Trondheim currently appears to host a rather vibrant black metal community, none of the classic Norwegian bands besides THORNS came from there. I also believe the greater Nidrosian region was spared from the Matrix virus, a malady of the metal mind known to have ravaged the country around the millennium shift. The cultural contagion in question was discussed at some length in the Hatpastorn conversation. – Good description! Definitely no Matrix virus here – we were not affected nor did we have any contact with bands elsewhere in Norway. Despite being the country’s third biggest city, the scene here wasn’t exactly teeming with creative people in the early 90s. I believe that’s why we in later days succeeded in crafting music that stands out. At the formation of MARE, our fires were fuelled by the strong desire to create something different than the awkward ’black metal’ coming out of this country in the late 90s to early 2000s. We wanted to sow our seeds deep in the darkness, where only those who were truly deserving would be able to harvest its fruit. Nosophoros adds that the times when the band truly thrives is when connecting with listeners who understand their sonic tongue. Rather than external musical stimuli, he attributes most of MARE’s soundscape to ’inward inspiration’ and explains that most of their compositions derive from flow states. – Back when we first started out, I’m sure we were influenced by various bands – MAYHEM obviously being one of them. But as MARE gradually came alive as an uncontrollable organism, what we had once created ourselves began prying open gateways to internal inspiration. I believe the subconscious cauldron of art erupts when ignited by different actions, impressions, and reflections. Since the process is so dynamic, it must be neither forced nor manipulated. The moments I’m in a clear state of self-awareness is when I struggle the most to turn inspiration into action. How much does traditional metal culture assert itself in MARE, are you a metalhead? – I appreciate and worship the traditions of metal, especially the older heavy metal bands. Not necessarily its culture or lyrics but the music’s atmosphere holds important sources which led to what we now know as black metal. I don’t categorise myself as a metalhead in all aspects but I carefully study and seek inspiration from the music itself, regardless of subgenre. MARE have thus far premiered two tracks from “The Ebony Tower” and judging from the response, they would appear to have some momentum going at the moment. Hence, I’m wondering what they hope to achieve out of this on a personal level. – Nothing. To paraphrase a wise brother in MARE: true art is the persistent drive to create something by sacrificing everything to gain nothing. We’ll play a few concerts after the album has been released, nothing more. After years of experience performing live, we’ve concluded that evoking the atmospheres and spirit we seek requires thorough and provident planning. Therefore, we need to focus on the right events – ones we feel there’s a ’red line’ running through. So you’re not going to be touring? – No. For us, this isn’t about playing as much as possible but rather making our performances as strong as can be. We get a lot of offers but have never really felt compelled to play. On the other hand, we’re confident that with the right mindset and perseverance, we could enforce our atmosphere on pretty much any gig regardless of surrounding circumstances. It’s just a choice we’ve made, to not make MARE a touring band. I noticed that these attitudes have elicited accusations of ’elitism’. Regardless if these allegations are warranted, one could argue that it’s a peculiar complaint to lodge against a black metal band. Had mediocrity and half-heartedness been tolerated in the early days – if pretenders were encouraged for effort rather than shunned – the genre would probably look very different today. – Elitism, the way we see it, means a constant strife for greatness – never letting oneself be numbed by comfort and contentment. 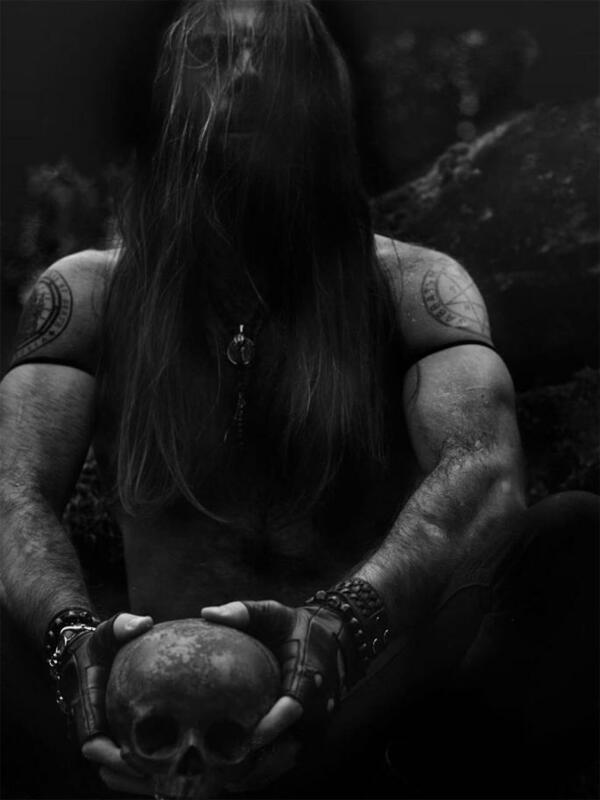 I know there have been words about MARE appearing arrogant and elitist, but retaining artistic integrity is of paramount importance so letting black metal dogmas limit our path forward will never be an option. There’ll always exist rigid rules for how one should appear in order to be considered ’true’, notions that in reality prevent artists from flourishing. So that’s the way it is: our music was never made to be repeatedly performed, night after night. Once night falls, the Old Hag – or Mare, to use her original name – rides the celestial plains. Both anthropological and medicinal research indicates that her archetype entered European folklore as means of explaining sleep paralysis – a physical and mental condition which has seen plenty of discussion on Bardo Methodology due to the astonishing amount of esoterically inclined interviewees who have experienced it. The ordeal entails waking up in the middle of the night to find oneself unable to move anything but one’s eyes, and is frequently accompanied by highly convincing auditory and visual phenomena. Those afflicted will often sense the presence of a paranormal malevolence pinning them down into their beds. Imagine a horrific nightmare acted out in the real world while you’re fully awake, immobile, and unable to snap out of it. Before it became a medical term, it was believed to be a visitation of incubi or demons. That’s where the English word for bad dreams come from; night-mare. Mardröm in Swedish; a dream haunted by the Mare. – I’m familiar with the condition but have never experienced it myself. I was of an adversarial spirit from a very young age – always challenging established forms, drawing inspiration from witchcraft, sorcery and evil female divinity from the first moment I took up music. Especially since most religions and societies fear and are intrigued by nature’s feminine forces, it was fitting to name the band after the mother of darkness and demons. Is your use of Mare meant to be something like a Jungian archetype, a symbolic name for natural forces, or do you in fact mean a sentient divinity? – The moon is most commonly related to the female sides of nature and mythology, so the meaning of the name Mare would in simple words derive from Lilith, Sophia, Hecate, and so on… The main idea behind our music and its concept is celebrating the magnetic moon and the underworld it represents. Cyclical bleeding and the forging forces of the divine womb is significant for both male and female beings, and is strongly connected to the moon. Nosophoros has stated in previous interviews that while he’s both well-read and experienced in the arcane arts, he doesn’t adhere to or study any extant esoteric tradition – dismissing the lot of them as subjective humanoid creations and instead relying on intuitive self-exploration. Assuming the role of devil’s advocate, given that one converses with a self-described elitist, it bears pondering whether it’s possible to attain spiritual mastery without learning from a master. Proponents of lineage and systems tend to mention advantages of tutelage under elder supervision in a system built over hundreds or sometimes thousands of years’ worth of combined experience. – It’s primarily practical skills such as singing, fiddle-making, or martial arts that should be taught in person by a master. In my opinion, the human brain and its reflections of ’the self’ are so individual that another man’s experience might colour your perception of a spiritual journey to the point where it’s no longer your own. I don’t dismiss the benefits of experience but too many people swallow single doctrines as universal law, and so become enclosed in a poorer and narrower state of mind. You mentioned ’visions’ as a source of inspiration, do you mean this as ambitions for future developments or in a more pictorial sense? – It’s how I imagine the landscape beyond the horizon will look like, once we’ve laid out the remaining pieces of our treacherous puzzle. On that note, I’m curious if Nosophoros has ever experienced the type of visions generally referred to as ’hallucinations’. I’m hesitant to use this term, since it implies by default that what’s seen is not ’real’. – I understand very well what you mean but no, I have not done the proper work to achieve such phenomena – my focus has been elsewhere. My spirituality and creative force is driven by the icon of a threatening black zenith illuminated from behind by the crimson sun. No matter from which angle I gaze, it seems impossible to climb. But I know that one day I will stand on the top, because this is my Ebony Tower.